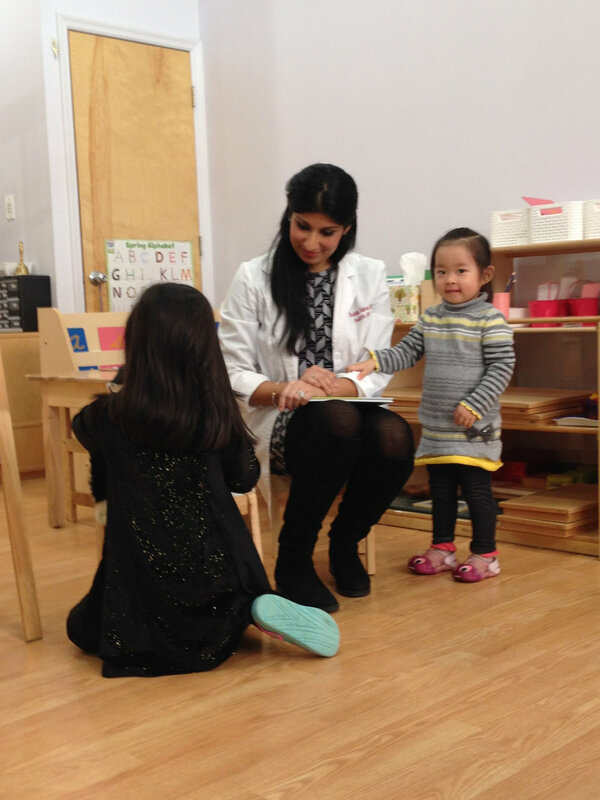 Recently, the Toddler 1 class enjoyed a visit from a friendly dentist. The students were fascinated as she spoke about ways to keep teeth healthy and what to expect on a trip to their friendly dentist. The children especially enjoyed taking turns practicing good brushing technique on a smiling monkey doll. Newer PostSee Ms. Heather’s Art Work!